For those of you that are following my training you might know that I only recently picked up trail running recently. Up until then I was strictly a runner of the black top. The trails never really worked for me. But once I was introduced to them I fell in love! And the best part of starting to run on a new surface meant NEW SHOES!!!! I went to the local running store that sponsors one my my triathlon teams (yes, I belong to a couple) and tried on couple pairs of trail running shoes. 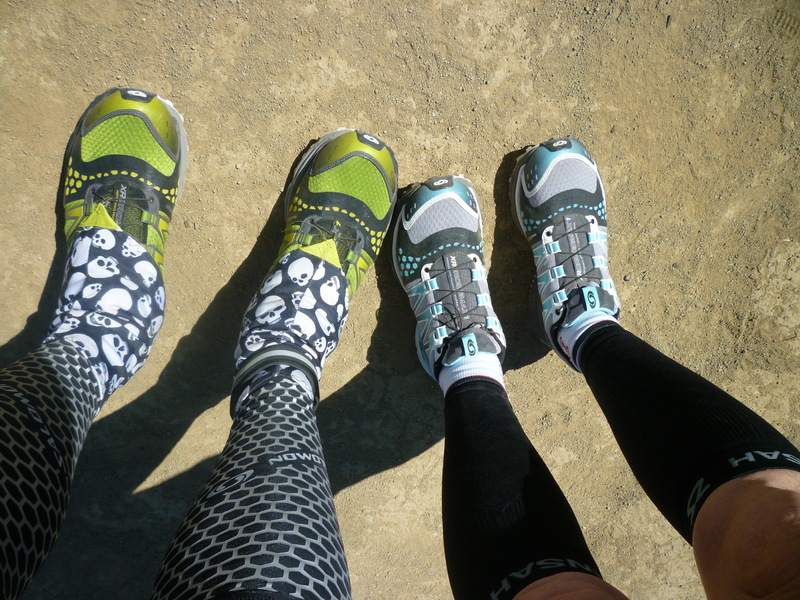 I was very interested in the Salomons because I knew a couple people who also ran in them. 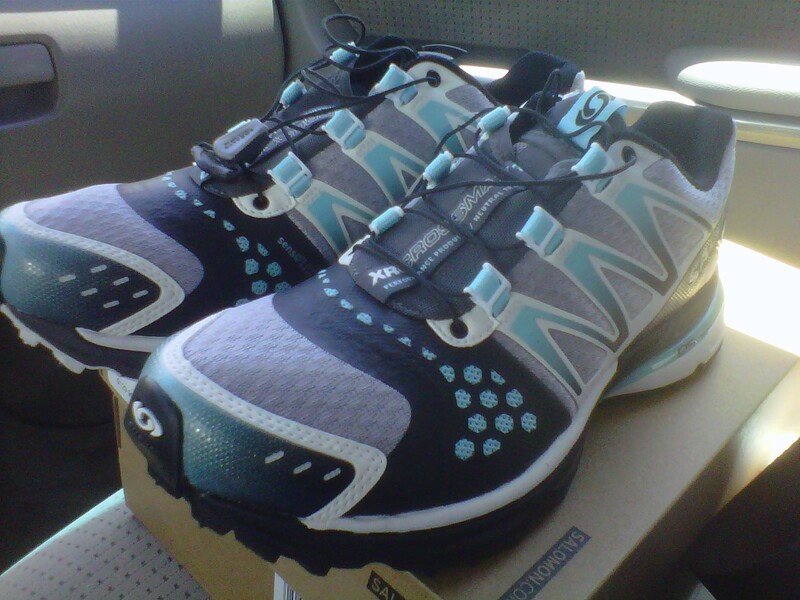 So I picked up the Salomon XR Crossmax neutrals. I wrote about these shoes when I first got them because it was the first time I had switched from a stability shoe to a neutral shoe. Now that I have put about 70 miles on them it is time to write about them. I run on the trails in Southern California just north of Los Angeles. As a result the terrain I run on can vary widely from rocks to sand to hard dirt to mud. The hills can get pretty steep at times as well which can making ascending hard and descending tricky. So far I have bee very pleased with the shoes. They have stood up to every surface I have thrown at them. Since I am new to trail running my ankles are a little weak. The shoes have provided a nice stable base to keep me from turning my ankles too often (can’t avoid it completely). The shoes laces took a little time to get used to and to get them adjusted just right. The shoes “hug” my feet just right by giving me the right space for my front foot but holding snugly to my heel. They do seem to allow some dirt through but if you want your shoes to breathe and dry out (after a water crossing or six), they can’t be air tight! 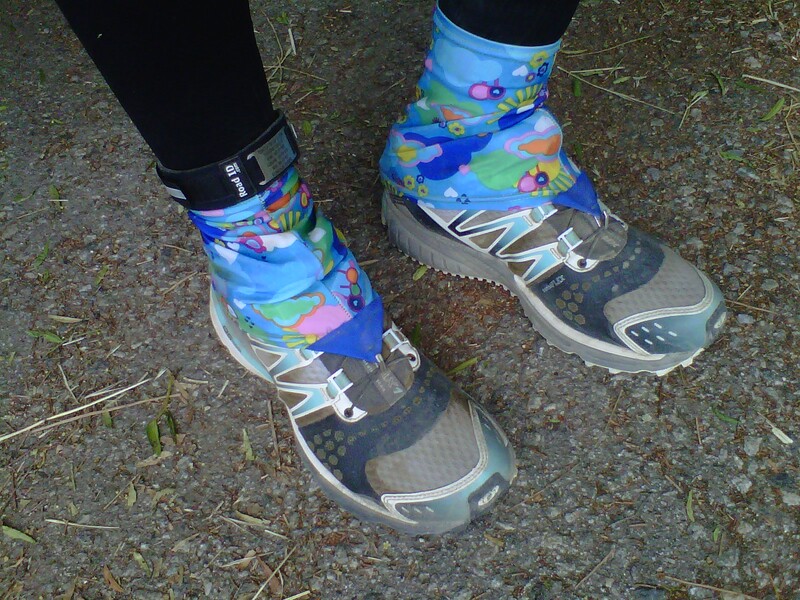 To help cut down on the junk that gets in them I use Dirtygirl Gaiters (love them!!). I am new to this product reviewing stuff so I am sure I missed some of the technical details that make them the great shoes I have found them to be. I am curious to see how well they do after another 100 miles. I am hoping, because I don’t wear them on the road where I am a heavy heel striker, they will last longer than most of my regular running shoes. Brand new coming home from the store. No dirt on them yet! First run with one of their cousins. 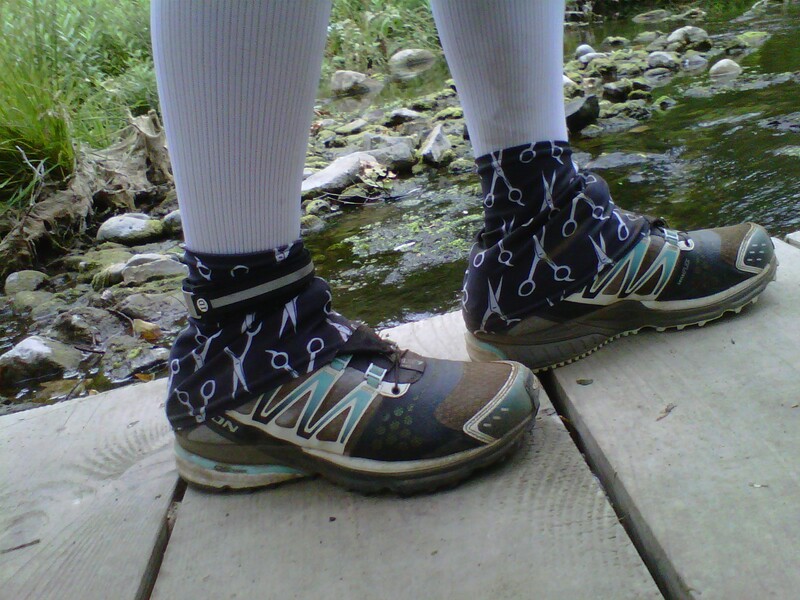 Getting ready to hit the trails, Dirtygirl Gaiters and all! I noticed you had compression sleeves on your lower leg. Do you find they help with cramping and shin pain. I am new to triathlons this year and am having issues with calf cramping and shin pain. Both in swim and run. I used to have a lot of shin and calf pain when I ran. I have found the compressions sleeves help immensely! But I also I have cut baclkthe number of days I run and do a lot more cross training by swimming and biking.